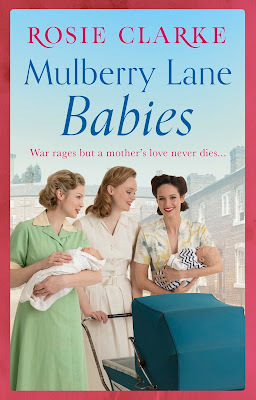 Excited to be today's stop on the Blog Tour for Mulberry Lane Babies! Continue below to learn about the book and then continue to read an adorable and very informative About the Author I had the pleasure of receiving from Rosie herself! Menacing shadows lurk on dark street corners, threatening the safety of those who are alone and vulnerable. When Peggy's twins are born early Maureen and Nellie are there to lend a helping hand. The mothers of Mulberry Lane stick together despite the grim conditions of war torn London and a shadowy fear that stalks their lives. Neighbours and friends look out for each other and new life brings hope and joy to the Lane. I’ve been asked to tell you a little about myself and my work. I have written under several pseudonyms. People often ask why I’ve had different names and my answer is that it was mostly at the request of my various publishers. I wrote historical love stories as Anne Herries but when I turned to sagas, that wasn’t suitable. The two genres are so different and readers want to know what they are getting. Fans of historical romances do not necessarily want to read about war time hardship and vice versa. So my publisher asked for a different name. When I wrote my first sagas I used my own name of Linda Sole, but later I changed publishers again and was asked to pick up a new name. The publisher wanted a fresh start and I know the same thing has happened to other authors. Even some of the well-known authors have chosen to write under different names because the genre was slightly different. 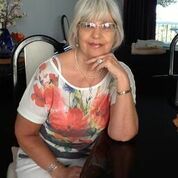 I am a prolific author and I write quite a few books; I do publish other books under different names but I don’t want a conflict of interest so I don’t mix them, though all the details are on my website for those who are curious. My husband laughs when I watch murder and mayhem on TV. He’s not too keen and prefers family stories set in the last war, though we both loved Peaky Blinders and Spartacus – the big series. Also, the Borgias! That series ended too soon! I love to read about struggle and I’m currently reading a series of Viking books, though the hero has a heart – which doesn’t often happen with Vikings. My own stories rely on emotions and the feelings of normal people in abnormal times and situations. They suffer because of war but also because others hurt them and let them down, which is real life. Half of the pain and grief felt by us all is caused by the unkindness and ill-use of those we thought loved us. That is why I never have a shortage of ideas. I only have to listen to the news or read a newspaper and I have a scenario in my head. Most books start with one emotional scene that comes to me. It may not appear in the book until halfway through or even the end – and it might even get cut – but it is what starts the ideas running and so a book is written. If it is part of a series then one thing leads to another. Hardly any stories end between the pages of one book, even if the author leaves it there. No one just goes on to be happy ever after without some ups and downs – even the luckiest of us will have either grief or sickness strike at some point. That is why there is a never ending supply of stories set during the first and second world wars. They were such terrible times and so many suffered and died – and some went on paying the price for years. brings hope and joy to the Lane.